Around here and very often, fun is a guiding principle of design. 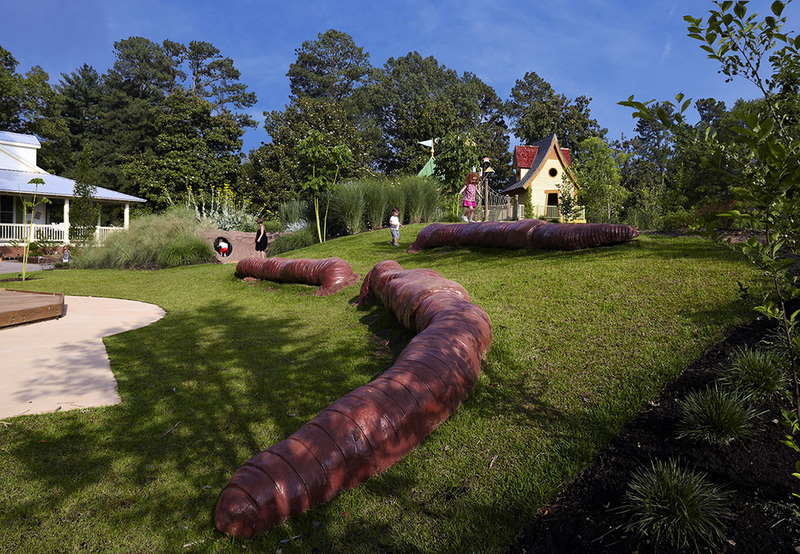 Imagine an assignment to create a two-and-a-half-acre whimsical and wacky world for children right in the middle of a botanical garden. Imagine is exactly what we did, using natural and built environments to introduce families to the delights of gardening, the wonders of nature and the wealth of learning opportunities presented by the outdoors, providing examples of activities and possibilities for parents and children to recreate at home. 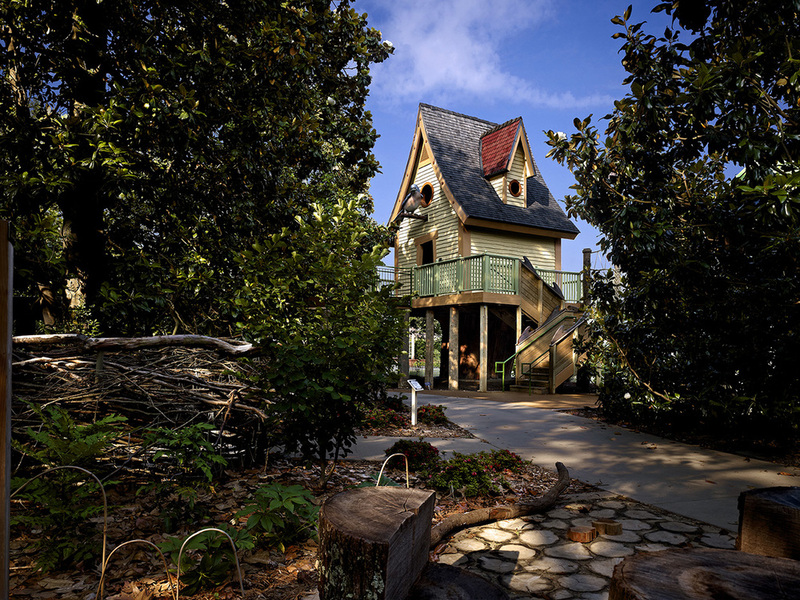 Major components include a classroom building, rain watershed and creek, cypress pond, bird and tree house, butterfly maze, elevated tree walkway, plus many other ways to explore native plants and animal habitats. 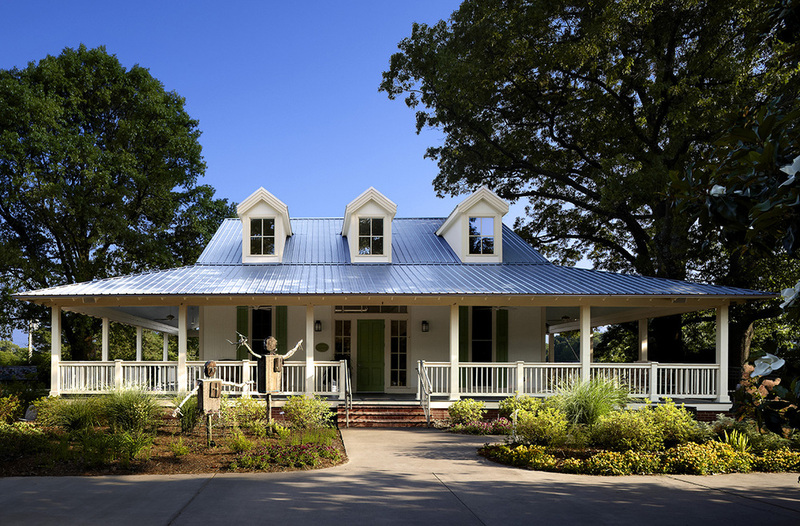 Diverse architectural solutions include a traditional rural building for classroom/events space, over-scaled birdhouses for people climbing, skeletal utility sheds for water play, and wood shade structures and lattice works for dividers. 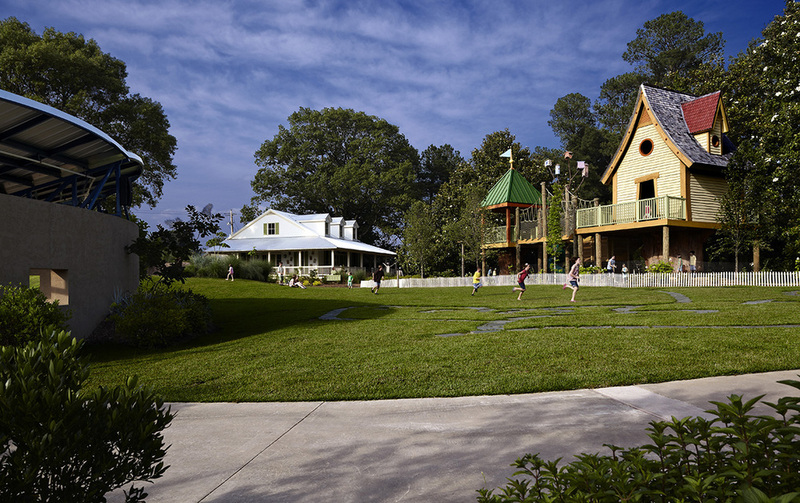 The site master plan arranges structures and learning areas into a magical mix of outdoor spaces for individual and group discovery, from large grassy lawns to shady pathways, with an emphasis on play and learning.